The core of any successful business is a quality product or service and a dedicated, knowledgeable team of experts to back it up. But when we start talking about ways to increase traffic to your website it’s not that easy. Especially since the first thing many prospects see are not going to have anything to do with your team and your services. So what’s really their first impression? The answer is your homepage. Website layout is a major aspect of your entire site design and can encourage prospective buyers to stay, explore, return or make a purchase. It can even help build trust and gain credibility because a polished, streamlined website means you have a group of designers that are on point. And when you’re looking good on the outside, people assume your business is looking good on the inside. Take a second and think about a couple of websites you aspire to emulate. More specifically take a moment to check out a few different websites of brands that you’re currently a big fan of. What is it about these sites that you like or maybe don’t like? What works for you as a reader? These are things you should be considering when you are looking at your own website; it’s likely that one of your visitors is going to have similar thoughts. In today's post we are going to give you some website layout tips and discuss the finer points of design to help you increase more traffic. Less is more when it comes to website layout. You want someone who lands on your website to be able to take it all in, understand what you offer and know where they should click next all in a matter of seconds. Too many advertisements, links, images or different types of content can be overwhelming and when something is too much to grasp or too confusing readers bail, your bounce rate increases and your traffic decreases. Don’t think of a simple website as a boring site or lacking content. You can still have tons of content and share all the wonderful information you have to share, it just needs to be laid out in an organized, digestible manner so a reader is encouraged and comfortable enough to explore and read through everything you’re saying. Keeping things organized will keep readers on your site longer and as a result your traffic will increase and your bounce rate will decrease. We know that ‘simplicity’ is easier said than done and no, we aren’t trying to be ironic. When you’re starting out try to stick to two columns of content and don’t ask your readers to do more than one thing per page. It’s not always possible and doesn’t work for every website but it’s a good general rule to keep in mind when you’re designing your website. Your reader isn’t the only one that doesn’t like complicated websites; search engines hate them too. Well, maybe “hate” is too strong a word for a web browser; but they most certainly struggle to index them correctly, which means your website isn’t going to show up in an organic search. To see how a search engine sees your site turn off the default CSS, this will cause your pages to lose its stylish elements. Can you tell where your content ends and your navigation begins? If you can’t, then neither can a search engine. Consider changing your site structure so pages are optimized for indexing and aren’t buried so deep into the navigation that search engines can’t index them properly. Also, make sure your site is utilizing responsive design techniques so that it will come up in mobile searches and be easy to browse on any platform. Today’s web browsing isn’t always done on a computer screen so catering your site to whatever is being used will increase traffic and make your site more appealing to all types of readers. It’s time to trim the fat! What don’t you need on your website? Do you really need all the navigation links you included, or the images and advertisements? Start by removing any distractions you think you can part with. Use a content slider to organize information into a compact area that readers can flip through. This is particularly good for images or testimonials. Sliders can be distracting so consider putting it on the bottom of the page for testimonials or as the only thing on a page if you are using it to show images. Tabbed navigation is a great way to organize the main content of your website, but it’s also very effective to use to organize page content, especially if a page is cluttered with content. Just like the main navigation, make sure it’s readable, not crowded and has a large clickable area. Modal windows, or floating windows, are a good way to present items that don’t fit into the layout, like larger images, tips, alerts or special offers. Differentiate this window from the rest of the page with a drop shadow and a faded out page behind it. Remember that, just like pop-ups, some people may find these annoying so make sure this window contains relevant content and make it clear how to close it. Do you have a lot to say on one particular subject? Consider creating a webinar or an eBook and including it as a downloadable offer. Create a call-to-action and a landing page for your offer and share it on your blog and social media networks. 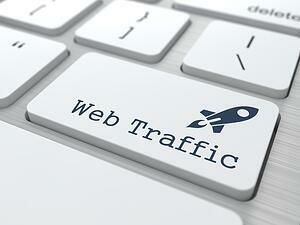 This is a great way to drive traffic to your website! Include a rollover to give the reader a snip-it of what they will get if they click on the link or button. Make it translucent so it’s subtle and doesn’t distract from the page. Accordion menus are also effective ways to condense large amounts of content. These can be laid out vertical or horizontal and expand when they are clicked on. 4. Try and figure out what step your website wants you to take next. If it’s obvious, congratulations your site passed! If not it’s time to do some work organizing and arranging your navigation so there’s no question what the next step is. Your website should drive the reader through the site easily and without hesitation. The next step should be obvious and never leave someone wondering, what do I click next? If it’s easy to navigate it’s not only more likely that someone will browse your site but they will be browsing it in the order that you want them too. Less information will be overlooked and the message you are trying to convey will be conveyed! Does your website cater to multiple buyer personas? Segment your site so that each persona can easily see the information that they are interested in. If your company offers social media marketing services and website design and a buyer comes to your site to learn about social media marketing don’t make them sift through the website design information to get what they want. Create a website that talks about social media and a website that talks about web design and link them to the homepage so when a prospective buyer lands on your page they can choose either or right away. This will make it easier for them, increase your site’s traffic and decrease your site’s bounce rate. There are other ways to drive traffic to your website then just loading it with keywords and optimizing it for search engines, although this is very important. You can utilize social media networks and business blogs to drive traffic to your website. The first step is being active. Post regularly to your blog and share it on your social media networks. Include internal links in your blog posts that direct readers back to relevant content on your site. This is valuable traffic to drive back to your site because these readers are already interested in what you offer. When creating call-to-actions you should share your offers on social media. Link them to a landing page and include a thank you page for prospective leads that go through with the download. Use this thank you page not only to thank them, but also to show them what else you have to offer. Make sure these offers are relevant to what they just downloaded. Include social media share buttons at the end of your blog posts so that readers can easily spread your content to their friends and followers. Encourage visitors of your website to start following you on social media by including links to your pages on your website’s homepage or your contact page. To some, color and font may seem like an afterthought but in the web design world this couldn’t be farther from the truth. Sure the content is what keeps a prospective lead coming back for more but the color and general look of your site is what attracts them in the first place. So if you want to increase the traffic on your website and you are confident the content is up to par, it’s time to take a good long look at some of the more “trivial” aspects. Colors should be pleasing, not distracting and represent the brand appropriately. Use header tags and bulleted points to break up content. Use size and color to convey priority and importance. Take advantage of the standard website design and place navigation on the top or the left. When it comes to this point, it’s better to think inside the box. Every image or graphic should have a specific purpose. Does it? Consistent design is essential; find a theme and stick with it! Links should not be the same color as your text. Buttons should stand out. If you want someone to click it make it obvious! The mouse icon should indicate when an item is clickable. Use well-known icons for things like sharing, downloading or going to social media networks. Once again, inside the box with this one. Don’t use a font smaller than 11 points. If you are unsure about a change, play it safe and run an A/B test. You may be shocked to learn that a blue background increases your traffic more than a yellow background, for example, so it’s best to test it first to figure out what works for your business and your prospective buyers. Korey is a former New Breeder.